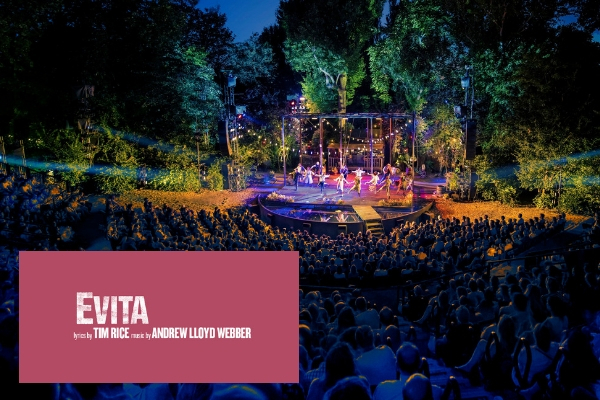 It premiered in the West End in 1978 and features a chart-topping score, now Jamie Lloyd will direct a brand new production of Evita which will bring Regent’s Park Open Air Theatre 2019 season to a close. Could it be as big a hit as Superstar? And who do you see picking up those iconic lead roles? Evita will run from 2 August to 21 September 2019 (press night is 8 August). As artistic director of The Jamie Lloyd Company, Lloyd is currently producing and directing Pinter at the Pinter, a season of Harold Pinter’s short plays in the West End. The Regent’s Park Open Air Theatre production of Jesus Christ Superstar transfers to the Barbican from 4 July to 24 August 2019, ahead of a North American tour in the autumn.